Whether you’ve got a cramped tackle box from years of fishing, or you’re just starting out, and looking to get the right gear for the right situation, it can be hard to make heads, tails, or fins of what lures and baits are actually going to work, and which ones are nothing more than useless, flashy novelties. Well, we’re here to help. To help you economize and cut down on unnecessary gear, we’ve put together a list of the top 5 trout lures, over a variety of different makes, models, and types. By buying the products in this guide, you can be sure that you’ll have just the lure you need, just when you need it, with little overlap. And when tackle box space is more precious than ever, we think that’s a very good thing. Trout love floating lures. Designed specifically to be lightweight enough to float near the top of the water, most anglers find the best luck with these lures when they employ a quick jerking motion that will attract the attention of the trout and other fish below. Trout, like almost all other fish, love the hypnotizing action of spinners. They’re great when you’re trolling for fish over a longer cast distance, and have plenty of room to reel them in at just the right speed, creating that beautiful, flashy, spinning action that is so irresistible to so many fish. 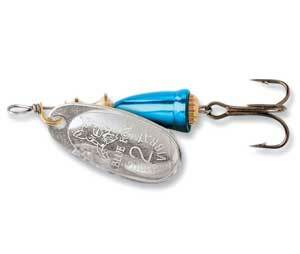 Longtime users prefer to fish diagonally upstream with these lures when possible, and allow them to be pulled along rivers and streams and retrieved once they’ve been pushed downstream. This natural action causes great fluttering that attracts fish and makes it so you don’t have to cast and retrieve the same lure quite so often. Spoons can be thought of as a sibling to spinners, but unlike their big brothers, they integrate the hook and the and the spinner into a single unit, making them a bit more simple, and minimizing extraneous moving parts. They’re useful for small ponds and lakes, and their action depends mostly on the curve of the spoon itself, as well as the speed that the angler retrieves them, so there’s a lot of variability within this category of lures. Suspenders are similar to floaters, but instead of floating right on top of the water, they’re designed to float in a neutral position in the water, allowing the angler to use a bobber to determine strikes, and perfectly designed to jerk and move in a natural motion, mimicking a baitfish. Users recommend a slow reeling action combined with momentary pauses, allowing this lure to move slowly and then have quick changes in direction, mimicking a swimming fish with a motion that’s sure to attract bigger predatory fish. Sometimes you can’t beat the classics. Rubber worms for trout are usually impregnated with scents and tastes that closely mimic their preferred food sources, and are designed with a shape and action that also mimic their usual prey, with a very lifelike presentation. Versatile, cheap, and always popular with the fish, sometimes the classics are classic for a reason. We’ve combed through product listings and chosen one of our﻿ favorite lures from each of these categories, based on quality, price, and (of course) effectiveness. Check them out below. 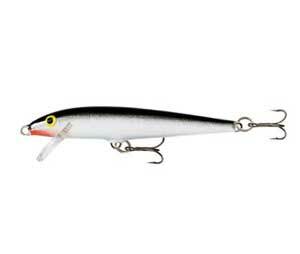 The Rapala Original Floater 09 combines a smart, lightweight balsa wood construction that sits beautifully on top of the water with high-quality double-hook hardware constructed out of VMC black nickel that’s as beautiful as it is durable, and the double-hook belly and tail design gives you plenty of hook power no matter where the lure is struck. It closely mimics a natural minnow profile, and its multiple color variations ranging from single-color to bright, clownfish-style patterns give you plenty of options to choose from when selecting the appropriate lure. This model runs 3.5” in length, and weighs 3/16oz, though larger and smaller options are available if you need them. It’s surprisingly versatile, too. Anglers report great success using it not only as a twitch surface bait but also as both a steady retrieve bait, and a stop-and-go retrieve bait. 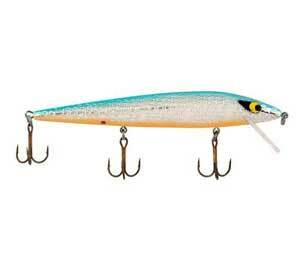 No matter how you like to fish, if you’re looking for a lightweight, top-surface minnow style lure, it’ll be hard to beat the Rapala Original Floater. This top-of-the-line Blue Fox Classic Vibrax integrates tons of special features and design choices into an effective, compact package. The lure houses a brass gear that allows it to twist and turn freely, causing less line twist and creating a vibration within the outer body that helps attract fish, and the main body is manufactured completely out of machined brass. The stamped blades are also brass, and coated either with silver or copper and painted according to the specific needs of each lure. 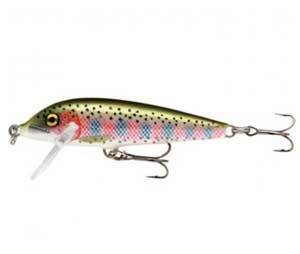 The beautiful shine, color, action of the spinner blades help attract the attention of fish, and it’s very adaptable to a large variety of depths and rigs, making it a great “jack-of-all-trades” spinning lure, perfectly suited to your tackle box. And the high quality of these lures will stand up to plenty of wear and tear, so they’re quite dependable and reliable, and you’ll never have to worry about a fish getting away because he managed to break your hook off your lure. 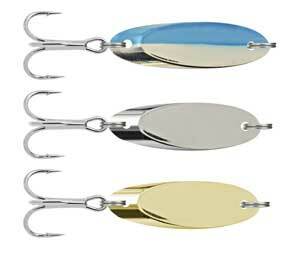 This 3 pack of spoon lures from Kastaway is a bargain, great for anyone looking to get into spoon lures at a low cost. They’re heavy enough to cast by themselves, without the need for extensive rigging, and they have a great spinning action that’s sure to attract tons of fish. 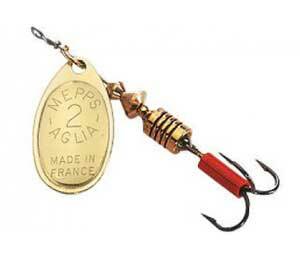 Users and manufacturer alike recommend using these lures with a quick casting and retrieval action. Their streamlined design is specifically crafted so that high speeds create the perfect amount of catch and spin, and if you cast and retrieve these lures quickly, with occasional pauses to allow it to sink to the bottom of the water, you’ll be reeling in plenty of fish in no time. While they’re probably more appropriate for smaller ponds and streams, with the right rigging you can easily adapt these lures to just about any situation, and if you’re looking for an inexpensive variety of spoon lures, this is a great choice. 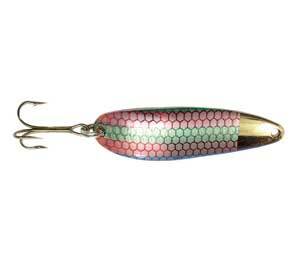 The Rattlin Rogue by Smithwick Lures is a perennial favorite when it comes to floaters. The three-hooked suspender design is accented by quality treble hooks using durable stainless steel hardware that won’t snap off at the first bite of a big trout. This 4.5-inch lure also comes in over a dozen colors, ensuring you can pick the right lure for the job, regardless of expected weather or water conditions. In addition, their water-neutral design ensures you won’t need to weight them down to get them to suspend. They’ll suspend right out of the box, no extra rigging or weights necessary, but they’re also quite adjustable, given the max dive depth of around 180cm that they allow, so you can rig them up however you wish if you desire a deeper water position. Appropriate for smaller fish as well as larger (up to 10lb) fish, depending on the line weight you run, the unique suspending action and presentation of this jerkbait ensures a natural look, and high quality, year-round performance. Worms are classic for a reason, and one of their biggest selling points is that they can be specifically manufactured with the right shape, size, action, and impregnated scents for each type of fish, allowing you to attract just the right kind of fish. In this case, the PowerBait FW Power Floating Trout Worm is designed for – you guessed it – trout! Made using high-quality materials, it’s been tailored in design, action, and scent for trout. Users report especially high rates of success with the bright pink “Bubblegum” color. This worm has a mostly neutral floating action, and will require weights if you want it to go much lower, and responds very well to twitch-style angling, moving around in an action that’s sure to attract fish. Given their low cost and reliability, worm-style lures certainly deserve a spot in every angler’s tackle box. If your other flashy, expensive lures still aren’t quite doing the trick, grab a worm (and maybe a piece of powerbait), rig up, and know that the classic action of the worm lure will do the work for you. The above listings aren’t meant to be a totally comprehensive listing of the lures available for each type, but we do highly recommend each type of lure listed as an exemplary option that is top quality, and sure to help you in your quest to catch huge, delicious trout. So this is only the beginning. Pick up one of these lures, (or several), get fishing, and find out which one you like best! From there, you can keep learning, keep fishing, and keep having fun.